A prominent Glasgow charity with a history rooted in community struggle has been forced to deny their involvement with the UK Government’s controversial workfare programme, after being named on a Freedom of Information release. The Govanhill Baths Community Trust were among 534 organisations listed on a Department for Work and Pensions release of “placement providers for Mandatory Work Activity” between July 2011 and January 2012. The MWA scheme was dubbed “workfare” by its opponents as it stipulated that claimants must complete up to 30 hours a week of unpaid work in return for the basic rate of Job Seekers’ Alliance. The programme was scrapped without fanfare last year, although similar schemes, such as the Work Programme, continue. A four year legal battle by campaign group Boycott Workfare concluded last week after the Court of Appeal eventually ruled that it was in the public interest for the names of MWA providers to be released. Among the companies implicated are dozens of high street chains alongside national charities such as Barnardos, Oxfam, Shelter and the RSPB. After huge public pressure over the last few years, many have since pulled out and are now signatories of the “Keep Volunteering Voluntary” pledge to avoid using workfare, which began in 2014. Others, like the Salvation Army, have repeatedly defended their involvement with work-for-benefits schemes. A substantial proportion of the organisations on the list released last week are, however, small charities and trusts operating at a local level. The inclusion of Govanhill Baths has come as a shock, with a number of people quick to raise concerns on social media. Originally a council facility, the closure of the Calder Street swimming baths in 2001 sparked a mass community campaign to keep them open. A five month occupation of the pool culminated in a heavy-handed police eviction that saw officers come under a barrage of pineapples from nearby fruit shops. The Save Our Pool campaign morphed into a long-running campaign for the baths to be re-opened as a community facility. 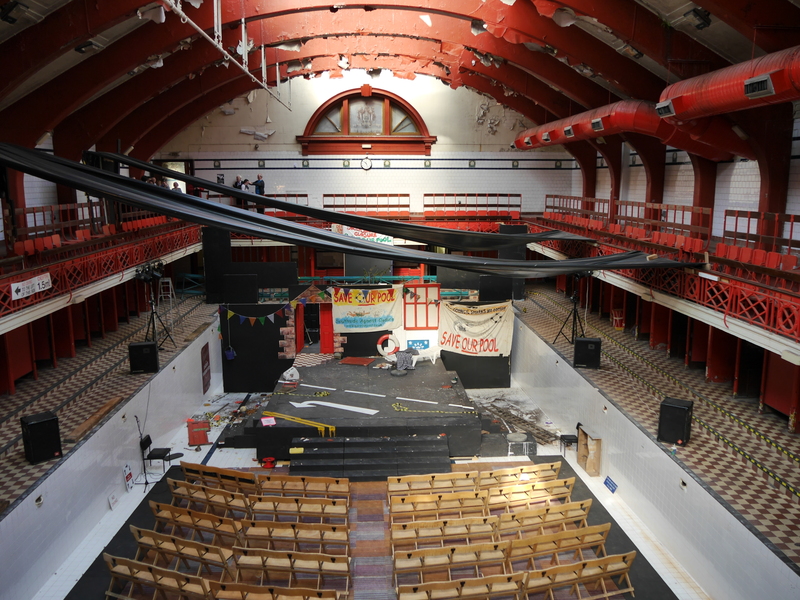 This was eventually successful, with the Govanhill Baths Community Trust recently winning over £1m of Lottery funding for further renovation work. In 2012, the trust attracted controversy after it emerged that Tommy Sheridan was sitting on their board of directors, despite his perjury conviction making him ineligible. Govanhill Baths Community Trust actively oppose forced workfare schemes and have never taken part in such schemes. We are extremely concerned that we have been listed as one of the organisations that use such exploitative schemes and, as yet, have no idea why we have appeared on the list. If anyone wants any further information on this – email Jim Monaghan on info@govanhillbaths.com as we will not engaging further on this issue on social media. How the organisation came to be included on the FOI remains a mystery. If the DWP have published an inaccurate list after stalling its release for over four years – a cover-up that will have cost tens of thousands in legal fees – then it raises deep concerns about both the veracity of their data and their adherence to the court ruling. Equally, if a local charity which champions community politics and social justice issues is guilty of taking part in a system widely condemned as exploitative and unfair, it does not reflect well on them. For now, we are left waiting for any deeper explanation. Update 04/08/16: a report by The Ferret reveals that Govanhill Baths Community Trust did, in fact, use at least one workfare placement.